Hampden offers custom fabricated swing gates, which can be built to seamlessly match your new, or existing security fencing solution. We can also offer complementary gate automation and access control systems to help you better manage the access of vehicles and pedestrians in and out of your property. Talk to us today about your custom swing gate requirements and we'll find you the perfect match for your property. Is a swing gate right for your property? Swing gates are typically simpler and quicker to install, and are naturally less expensive due to not requiring a specific concrete foundation and using less componentry. Swing gates have a reduced level of security compared to sliding / cantilever gates but represent a solid option for lower-risk properties. 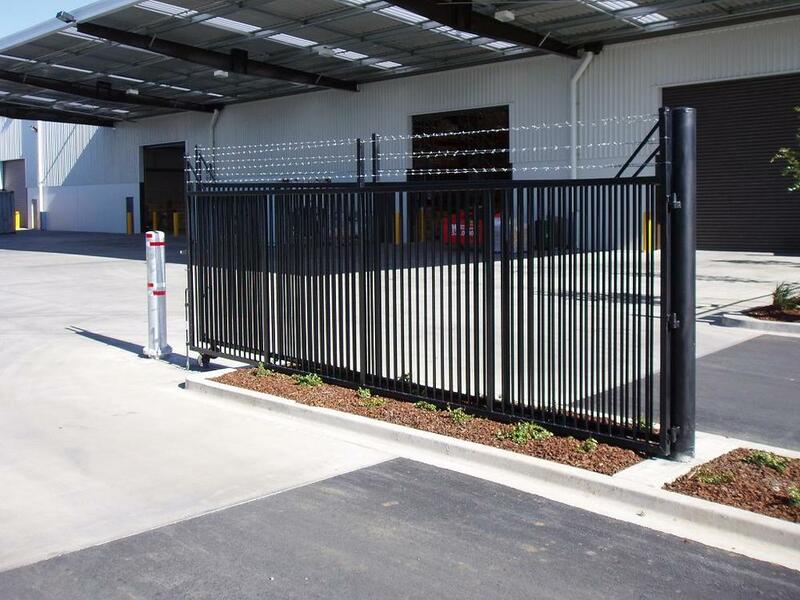 More suitable to narrower driveways, swing gates are affected by wind loading much more than sliding gates, and this can sometimes result in manual or automated operational difficulties. Hampden is proud to announce that as an added safety measure on all installed swing gates we are adding a high-quality 'Fall Arrest Cable' which is rated to 1.8T. Should damage be caused to the gateway (most often when a trucks hits the gate post or gate) resulting in a failed gate hinge the fall arrest cable will prevent the gate from falling and either causing damage to property, or worse still injury or death for a pedestrian. Hampden can safely say that it offers the safest swing gates in the business! Because no two sites are the same, all Hampden gate solutions are custom-fabricated to suit each customers’ specific needs. 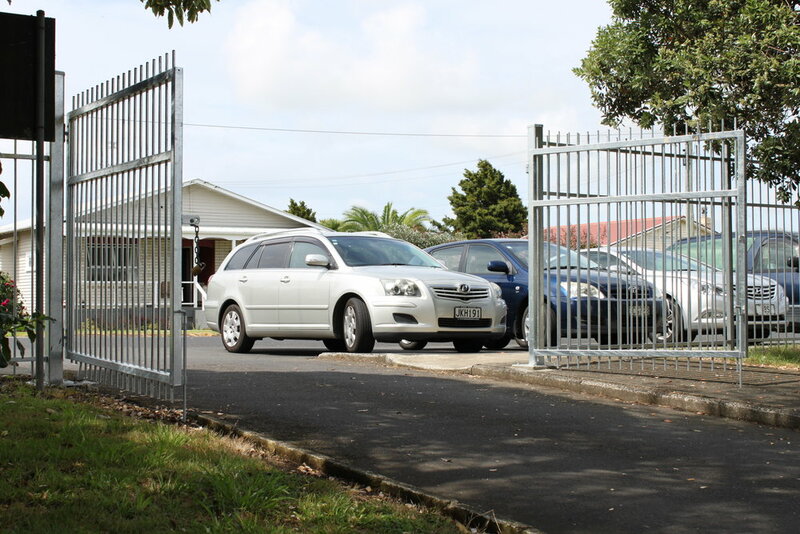 Whether its a entrance vehicle access gate, or a simple pedestrian gate, Hampden can provide a range of options with varying levels of automation or enhanced security features. Our experienced fabrication team has custom-made thousands of gates over the past 48 years, and the only real limit to what they can achieve is your imagination. Our gates can be fabricated to match your existing fence styles and we can arrange for a stylish finish to create a lasting first impression for visitors to your site. For more information. Contact us.